Born in Tokyo, Yuzuko Horigome began playing the piano at the age of 4 and took up the violin at the age of 5. Her first violin teacher was Ryosaku Kubota, after which she further developed her talent under the direction of Toshiya Eto, at Toho Gakuen. In 1980, Horigome won the first prize at the Queen Elisabeth Competition in Brussels, heralding the beginning of a successful international career. Since then, she has toured the world playing concerts under the direction of Erich Leinsdorf, Sándor Végh, Herbert Blomstedt, André Prévin, Claudio Abbado, Seiji Ozawa, Iván Fischer, Riccardo Chailly, and Simon Rattle among others. She has appeared as a soloist with orchestras such as the London Symphony Orchestra, Berliner Philharmoniker, Wiener Symphoniker, Amsterdam Concertgebouw, Tonhalle Orchester Zürich, Scala di Milano, Czech Philharmonic, St Petersburg Philharmonic, Camerata Salzburg, New York Philharmonic, Boston Symphony, Philadelphia Orchestra, Chicago Symphony, Los Angeles Philharmonic, Montreal Symphony, New Japan, and NHK Symphony. In early 2010, she performed Beethoven’s violin concerto with NHK Symphony, directed by Junichi Hirokami. Her performance, which was broadcast live by NHK, astonished critics who lauded her as the ‘best soloist’ of the year in Japan. A TV documentary called ‘Gifts For The Future’ on her social contribution was commissioned and broadcast by BS-TBS TV, in 2010. In February 2008 she recorded three concertos by Lalo with Orchestre Philharmonique de Nice, conducted by Marco Guidarini and in the autumn of 2016, Horigome played all of the Mozart Violin Concerti with the Hansjorg Schellenberger Conducting Camerata Academika Salzburg. Horigome has worked closely with composers such as Takemitsu, Miyoshi and Yuasa, and recorded their violin concertos. She collaborated with Japanese composers such as Mochizuki, Gondai, Nodaira, Hosokawa, and Okada. During the project ‘Violin Works - Jojo no Tabi’, which was recorded live in Tokyo and Kyoto between 2005 and 2010, pieces were dedicated to her by composers such as Okada. Horigome has recorded under labels such as Sony, Denon, Lockenhaus Edition, Camerata Tokyo, Nami Record, Talent, Dabringhaus und Grimm, René Gailly, and Pavane. Most recently, she recorded Bach Solo Sonatas and Partitas, and Bruch & Brahms concerto with the Czech Philharmonic by Octavia Record. Horigome is a passionate chamber musician and a frequent guest at festivals including Marlboro Music, Lockenhaus, Tanglewood and La Jolla. She has shared the stage with renowned artists such as Rudolf Serkin, János Starker, Martha Argerich, Nobuko Imai, Gidon Kremer, Mischa Maisky, Charles Neidich, Jean-Marc Luisada, and Abdel Rahman El Bacha. 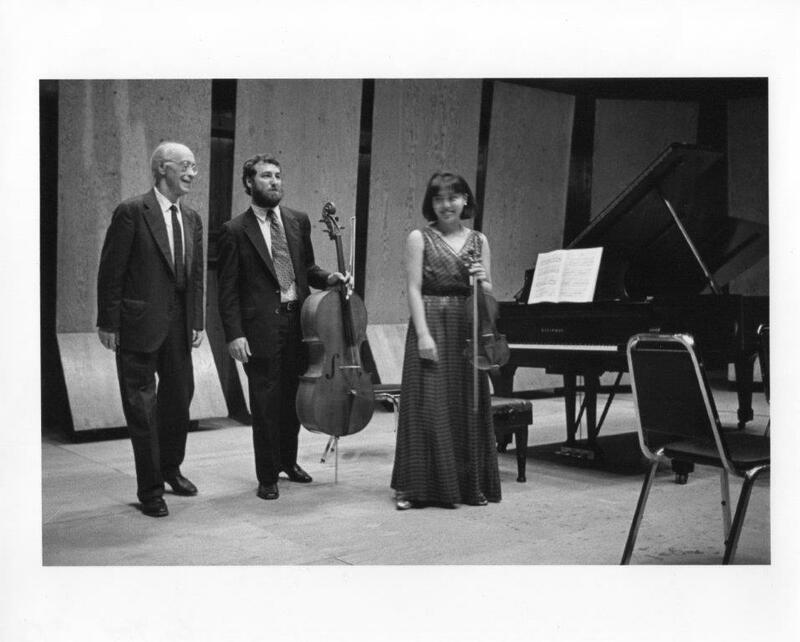 In 1990, she formed the ‘Casals Hall Quartet’ together with Nobuko Imai, Thomas Zehetmair and Antonio Meneses, afterwards continuing with Pamela Franck. The Quartet was later honoured with an invitation to become the ‘Resident Quartet’ at the Casals Hall in Tokyo. Achieving much critical acclaim by both mainstream and music press, the Quartet went on to complete numerous tours in Japan. 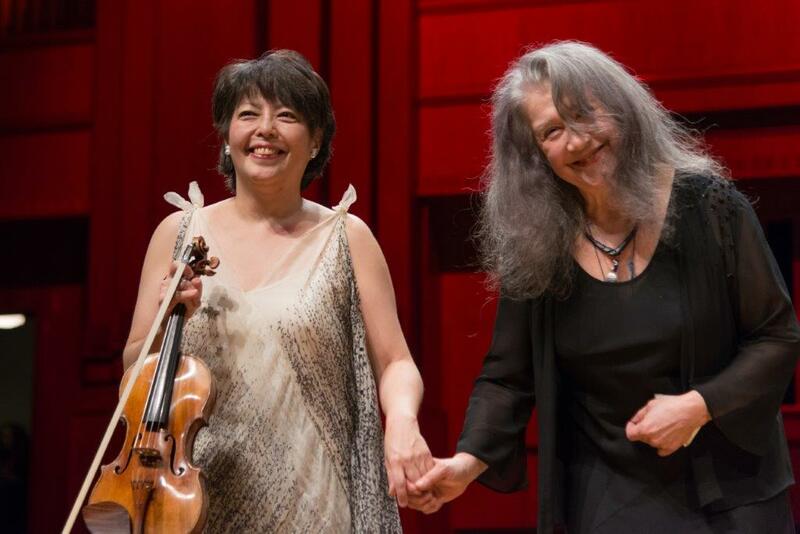 During 2004 and 2005, Horigome shared a concert with Martha Argerich at the Suntory Hall in Tokyo, who in turn invited Horigome to tour with her in Argentina, and later performed in Lugano, Switzerland. 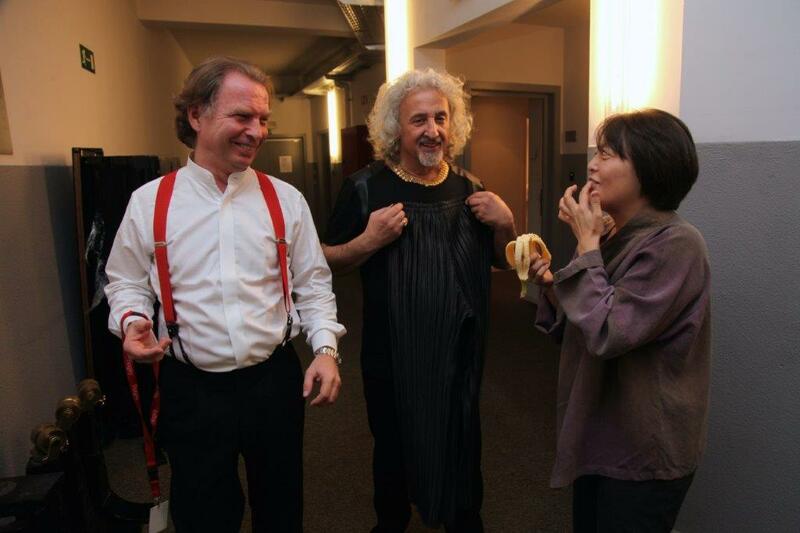 Horigome toured Japan between 2003 and 2006, performing complete sonatas of Mozart with the pianist Momo Kodama. From 2008 to 2010, she joined Abdel Rahman El Bacha on another tour of Japan and Europe to perform the complete sonatas of Beethoven. Her works have been recorded on live TV and DVD, notably her performance with the Messiaen’s ‘Quatuor pour la fin du temps’ with the clarinetist Charles Neidich, which was filmed by NHK in 2008. Her tour in France and Japan with the pianist Jean-Marc Luisada was also broadcast by NHK TV. In late 2013, Horigome launched a new project called ‘Bach-Brahms’ which included famous solo sonata and partitas of J.S.Bach and Brahms sonatas and Chamber Music. In addition to her career as a soloist and chamber musician, Yuzuko Horigome is currently a professor of violin at the Koninklijk Conservatorium Brussel and at Maastricht Conservatory. Her skillset at the piano gives her the ability to accompany her students at an exceptional level. She has given numerous masterclasses in Japan, France, Belgium, Denmark, England, Italy and the United States. She was a guest at the CNSM de Paris and at the Cambridge International String Academy in Trinity College. In 2012 she was offered by Residart to organise her own festival in La Marche, Italy. She will be giving masterclasses in Aix en Province in 2019 and in Kada Wakayama in 2020. 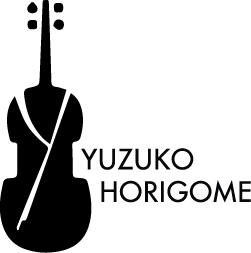 Horigome joins international juries for competitions like the Queen Elisabeth in Belgium, Sendai in Japan, Indianapolis in the United States, Montreal in Canada and Tibor Varga junior in Switzerland. From 2016 till this date, she serves as the chairperson of the violin section at Sendai International Music Competition.